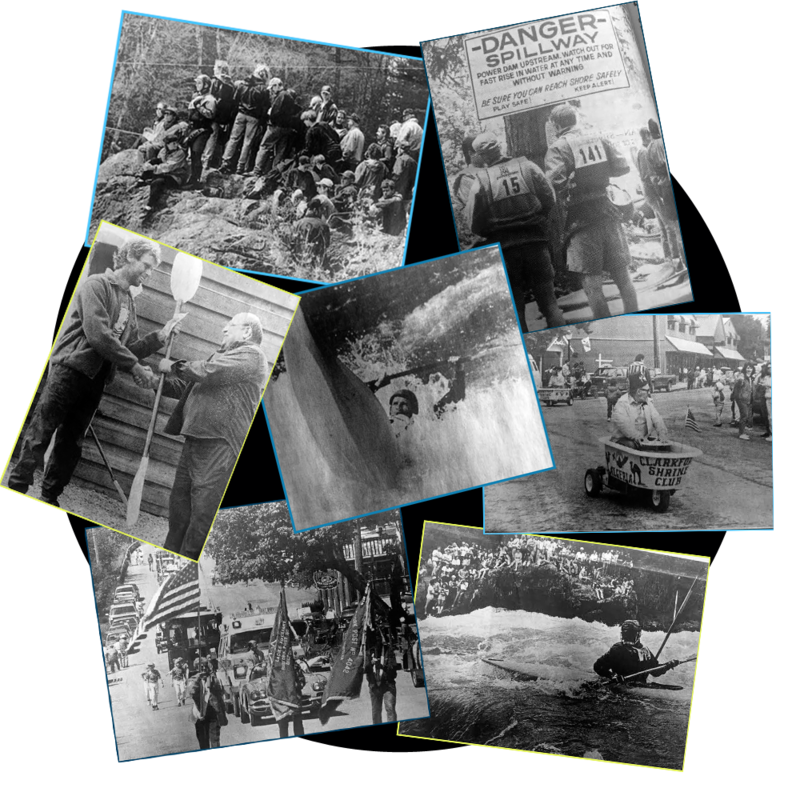 Bigfork Whitewater Festival- Celebrating 43 Years! Bigfork, Montana is located on the north end of Flathead Lake, where the Swan River spills into Bigfork Bay. The last mile of the Swan River, known as the "Wild Mile", is a class IV section of whitewater. It is the perfect whitewater venue with a scenic nature trail paralleling the north side, giving spectators front row seats for some of the best whitewater action in the area. The Wild Mile also flows through downtown Bigfork, which offers an eclectic variety of restaurants, shops and galleries. Please check out the Bigfork Chamber website for more visitor information! Here are some quick facts about the festival and our history! Have a whitewater story or maybe some photos you would like to share? Let us know! The "Mad Mile" - the "Wild Mile" was originally called the Mad Mile by locals but was changed in 1992 by festival organizers. Best in the NW - during the late 80s and 90s, the festival was considered one of the best kayaking events in all of the NW and hosted hundreds of participants from all over the world. Keeping it Wild - many local business have used the Wild Mile name as inspiration for products and services. Including, Wild Mile Wheat, a delicious brew from one of our sponsors- the Flathead Lake Brewing Company. Community Favorite - over the years, the festival included other fun community events like an annual parade, quilt show, soccer and baseball tournaments, a pancake breakfast, triathlon and boat show. Pro Circuit - for many years, the festival was a part of the Kayaking Pro Circuit but has not been included since 1999 because of scheduling conflicts. Currently, the festival is a part of the Western Whitewater Championship Series. Prizes - Back in the 80s, winning competitors received items like paddles and maybe a couple bucks. Now, we give away over $5,000 in cash and merchandise!